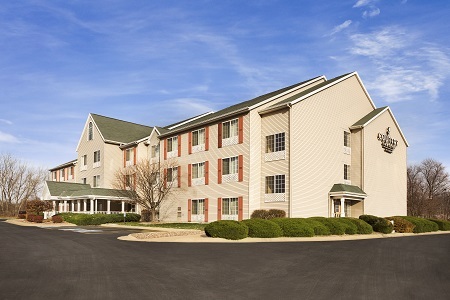 Ideally situated just off U.S. 30, the Country Inn & Suites® by Radisson, Clinton, IA offers everything you need for a productive stay near companies like Purina and Archer Daniels Midland. Take your entire family to local attractions like the Clinton Area Showboat Theatre and The Sawmill Museum, spend the afternoon watching boats sail down the Mississippi River at Lock & Dam 13, or enjoy an afternoon at our hotel’s heated indoor pool and hot tub. 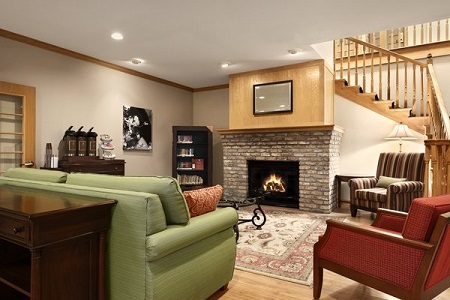 If you’re traveling with the whole family, book a One-bedroom Suite for additional square footage, a private bedroom and a separate sitting area. Fuel up for a day of family fun or productive meetings with the complimentary, hot breakfast, featuring morning favorites like pastries, waffles, biscuits with gravy, doughnuts and fresh fruit. For dinner, try a nearby restaurant like Rastrelli’s, which has been serving classic Italian fare in Clinton for more than 70 years. Bickelhaupt Arboretum – Need a bit of fresh air and tranquility during your visit? Head about seven minutes northeast of the hotel to enjoy 14 acres of beautiful public gardens with a wildlife museum and more than 2,000 plant species. Wild Rose Casino – When the sound of the slot machine is exactly the kind of relaxation you crave, try your luck at this casino less than two miles from our hotel. Clinton Area Showboat Theatre – Located just 10 minutes away, this converted tugboat hosts excellent musical theater productions along the banks of the Mississippi River. 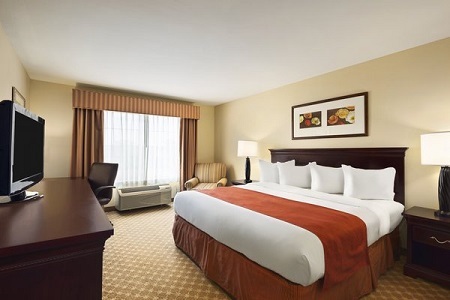 For blocks of 10 or more rooms, the Country Inn & Suites offers a 10% discount, perfect for wedding parties, traveling sports teams and corporate groups in town for a conference. 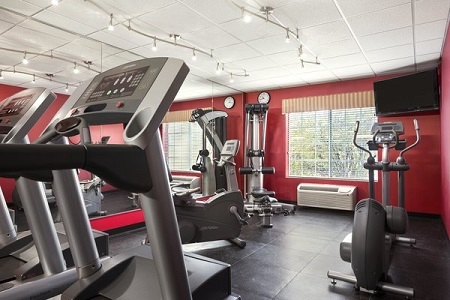 Enjoy excellent on-site amenities like free high-speed Internet access, an indoor pool and much more.